Breathing; You Just Can’t Lose! I had the privilege of teaching chair yoga to Deaf Women Ealing. It was such a joyous and funny class. The ujjayi breathing was superb, (I bought little mirrors for everyone to practice the ‘haaaah’ by fogging up the mirror) and we discovered a few hundred different facial expressions to convey various levels of ‘ouch!’. Hamstrings are hamstrings, in any class! We explored the value of full yogic breathing. I’m sure many people get a shock the first time they expand the ribcage to its full circumference; unused respiration muscles actually do strain. ‘Incorrect and shallow breathing leads to stiffening of the ribcage and wasting of the muscles of respiration so that insufficient oxygen is available for healthy metabolism’, says my book Chair Yoga. 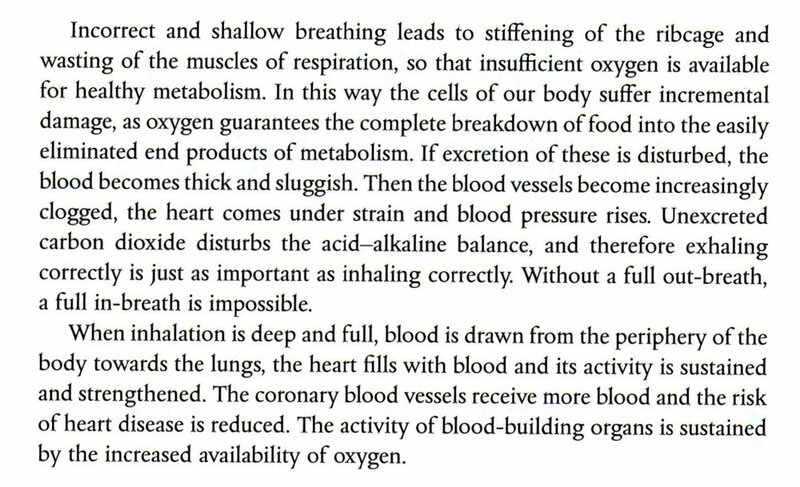 It goes on: ‘When inhalation is deep and full, blood is drawn from the periphery of the body towards the lungs, the heart fills with blood and its activity is sustained and strengthened’. Remember that even when you think a class isn’t going your way, (postures are wobbly, muscles are uncooperative and bed is calling), the full yogic breathing is strengthening your heart and boosting your metabolism, and you just can’t lose! If you’re interested in coming on the Complete Wellbeing Retreat, October 12th-15th , run by Deborah Smith, here on her webpage are meditation recordings of 5, 10 and 20 minutes. Have a go. I will be teaching the yoga component the weekend. The retreat of September 9th – 16th is over half full. Everyone so far on this retreat will be visiting my favourite corner of the world for the first time and I can’t wait to take them… and, perhaps, you. Here’s an article the Guardian wrote just before my first retreat asking ‘Is Kythira the perfect Greek island?’. Come and practice yoga watching the sunrise coming up on Kapsali’s double bay, birthplace of Aphrodite, the goddess of love! Leave this gentle, soul-nourishing place renewed and planning your return. There are plenty of places in next week’s classes – two classes are still empty, so you might want to book a group of friends. Let me know if you want to organise this. See what’s available here. (I update this every Friday before posting this email.) Book here. Today, this evening at 7.30, Sarai Harvey Smith is doing a jump-through workshop at Triyoga Ealing for £25. ‘Jumping through is also known as a floaty practice, when you can lift yourself up from sitting and jump back without scraping the mat. It’s the holy grail of Ashtanga! The Metro has an advertorial explaining what Yin Yoga is – it’s not a bad read. They want you to buy M&S yoga pants!